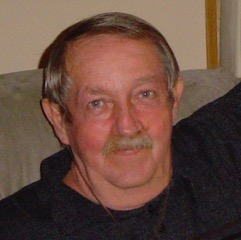 Kenneth Bringle, 68, passed away on Saturday, March 23, 2019. Ken was born on August 23, 1950 in Kingsport, TN. Blythewood, SC has been his home for the last 44 years. He enjoyed writing, gardening, and appreciated nature. His children and grandchildren were his pride and joy. He is survived by his wife of 44 years, Pamela Bringle; daughter, Amanda King and her husband Dennis King of East Flat Rock, NC; son Bryan Lance and his wife Kristina of Knoxville, TN, son Alex of Blythewood, SC; grandchildren, Nathan King, Morgan King, Kalen King, Matthew Bringle, Zachary Bringle, and Bryson Bringle; and numerous other family members. He was preceded in death by his parents, Herman Ray Bringle and Lavanda Leatha Shearer Bringle; and his brother Dennis Ray Bringle. A gathering of family and friends will be held at 2pm Thursday March 28 at Kornegay & Moseley, 4645 Hard Scrabble Road followed by burial at Crescent Hill Memorial Gardens.